West Seattle includes two of the city’s 13 districts, Southwest and Delridge, and includes all of Seattle west of the Duwamish River. With its fabulous sandy beaches along the saltwater shores of Puget Sound, views of downtown Seattle, Olympic Mountains to the west and the Cascades to the east,this is one of the most highly desirable places to live in the Seattle area. It includes some of the most popular neighborhoods, like Alki, Admiral and Alaska Junction, while offering top-notch shopping, dining and entertainment. With West Seattle waterfront real estate, you’ll be just steps from some of the city’s favorite saltwater beach parks, including Lincoln Park and Alki Beach Park, as well as a third of Seattle’s green space and urban forest, with the majority in the West Duwamish Greenbelt. While you’ll have convenient access to all the city amenities you could ever want, with downtown Seattle a short drive or a scenic passenger ferry ride away, when you own West Seattle waterfront real estate, you’ll get to take advantage of the area’s especially relaxed, beach town vibe. It has much more of a small-town feel than one would expect in such a large community, but the business district is one of the best around. Its central location truly provides the best of both worlds, waterside and city living, making it one of the most attractive neighborhoods in the Puget Sound area. 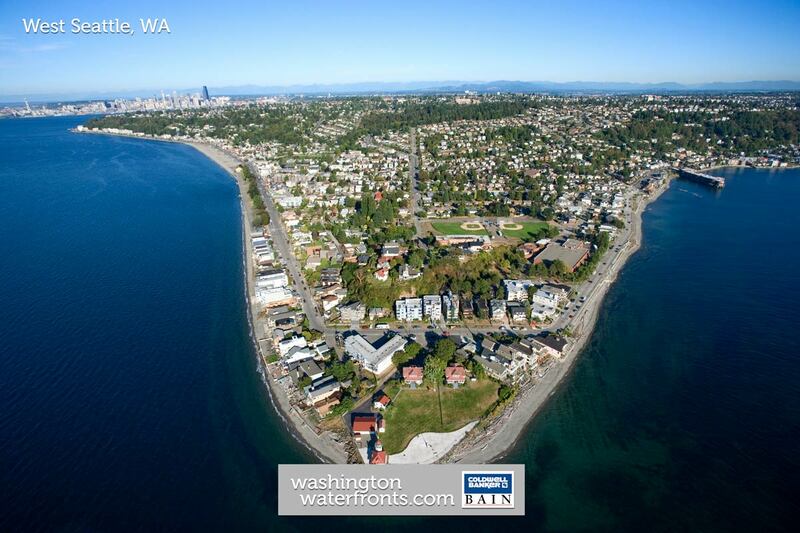 With West Seattle waterfront real estate, you’ll be able to take advantage of what’s often named among Seattle’s best parks: Alki Beach. The long stretch of sandy beach is ideal for strolling and enjoy the views of downtown. You can get out on the water here via a kayak, stand-up paddleboard or other watercraft, or just look forward to kicking back with a craft brew at West Seattle Brewing in the beach- facing tasting room. There’s no doubt that owning West Seattle waterfront real estate means owning a slice of the good life and all it has to offer. Take advantage of our industry-leading tools to make your property search as easy as possible and be sure to register for a FREE account so that you can receive email alerts whenever new West Seattle real estate for sale hits the market. If you’re seeking to sell your West Seattle property, contact our Waterfront Specialists directly for a comprehensive listing analysis and to learn more about the cutting-edge marketing strategies we’ll use to sell your home quickly for top dollar!